This Webinar Has Your Name on It! PMG teams up with Mansfield Sales Partners CEO Greg Dunne to address solutions to 5 of the most common technology industry sales & marketing blunders. For technology companies that offer complicated, sophisticated solutions to buyers at various levels of an organization – from the C-suite to IT to Procurement and other departments – it can be challenging to create and sustain effective sales and marketing programs. It’s easy to make mistakes and fail to achieve desired results from your efforts. 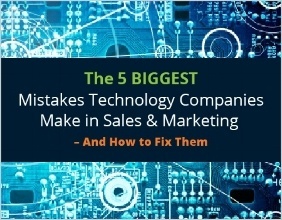 That's why we partnered up to offer this free LIVE webinar, The 5 Biggest Mistakes Technology Companies Make in Sales & Marketing – And How to Fix Them. In this co-sponsored program, Mansfield Sales Partners CEO Greg Dunne and PMG Principal Maureen Condon team up to provide our technology audience with practical, easy-to-understand solutions to their most costly sales and marketing challenges – and ultimately, to help attendees enjoy greater success! Plus, we wrap up with some Key Takeaways and a brief Q&A session at the end. Ready to see more success for your tech firm? Simply fill out the form to download the free recording! For 25+ years, Maureen’s career has focused on strategically creating content that connects with the right audience, with the right message, at the right time. From her early stints as a reporter to corporate communications positions in large firms to nearly 15 years as an entrepreneur, Maureen’s versatile background serves her well with companies seeking to leverage content to drive their business success. For over 20 years, MSP Co-Founder Greg Dunne has led global sales for high-tech companies, leading teams as they’ve introduced next-generation products to the marketplace. 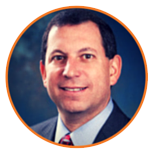 He and his teams have been responsible for identifying market demand, creating go-to-market strategies and assembling talented sales outsourcing teams to execute on those plans. Mansfield provides a world-class outsourced sales force to help rapidly growing technology companies increase revenue, build pipeline, penetrate new markets and open new territories.